Big Topamax Cleft Lip Verdict | What's Next? Big Topamax Cleft Lip Verdict | What’s Next? Janssen Pharmaceuticals got hit with an $11 million verdict in a Topamax cleft lip lawsuit. This is the second big verdict against this epilepsy drug. Janssen, a Johnson & Johnson subsidiary, took a $4 million verdict in October. There are not many of these claims, thankfully. Right now, there are 134 cases pending although you can expect a lot more to be filed in the near future after these verdicts. What do these two verdicts mean for the future of the Topamax litigation? It means what you think it means. The value of these cases are going up and up. Parents are blaming Janssen for not warning pregnant woman and women that might become pregnant of the drug’s risks of birth defect to unborn children, including cleft palates which seems to be the most common injury. Oral clefts range from a small notch in the lip to a groove that can run into the roof of the mouth. 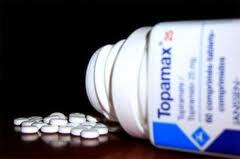 Topamax was approved by the FDA back in 1996, but has been under scrutiny for its possible causes for birth defects as early as 1997 when animal testing showed increased risk in oral cleft birth defects. They have been accused of intentionally concealing safety reports in 2003 and 2005 and were not requested by the FDA until 2011 to change their label informing the physicians and patients of taking the medicine while pregnant. Lawyers for the company argued that the labels that they provided prior to the 2011 FDA request reflected what the company knew and that they were informative for any prescribing doctor. During the last Philadelphia trial, they claimed that they had petitioned the FDA in 2005 to make the label show the reported birth defects but the wording was rejected. Data collected by the North American Antiepileptic Drug Pregnancy Registry indicated that 1.4% of infants exposed to Topamax during pregnancy could develop a cleft palate or cleft lip as compared to 0.38-0.55% of infants exposed to some other form of anticonvulsant drugs. Only 0.07% of infants whose mothers did not take anticonvulsant drugs during pregnancy. Additional trials against the distributor have been scheduled for February and March of 2014. I predict we are going to see mass settlements in these case soon rather than later. If you or a loved one has taken Topamax and gave birth to a child with a birth defect, please call one of our attorneys at 800-553-8082 or click here for a free no obligation consultation.